Principal investigator: O. Lezoray, ANR, coordinator of Grenoble partner. Statistical methods for the brain functional connectivity networks, fusion with anatomical connectivity. Towards a new diagnostic and prognostic tool for the evaluation of consciousness disorders. Principal investigator: S. Achard, ANR JCJC. Principal investigator: S. Achard, Appel à Idées Réseau National des Systèmes Complexes. 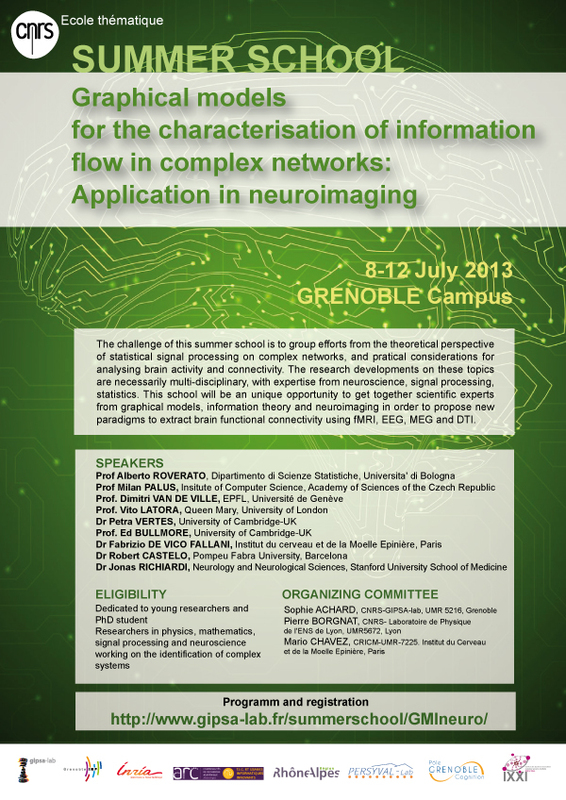 With Pierre Borgnat, we are organising a whole day of talks and discussions about signal processing and graphs. Please visit this webpage for more details.